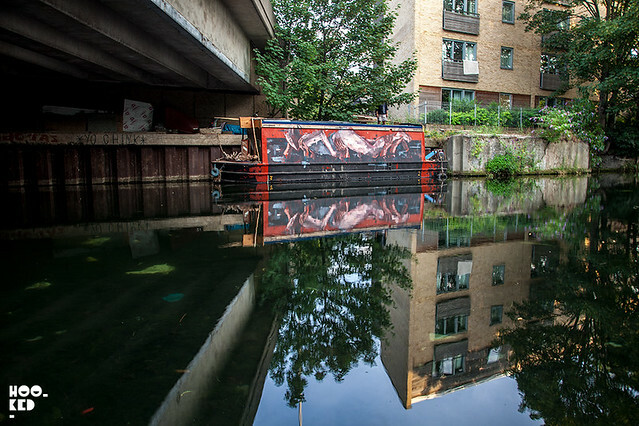 Spanish artist Borondo has been making the most of his last few days in the UK taking to the waterways of East London and painting some of the residents narrowboats moored along the River Lee in Hackney Wick. The start of the week saw Borondo redecorate the top of a boat with his take on John Everett Millais painting of Ophelia. We have not managed to capture this piece yet as these boats tend to move around quite a lot and we have yet to spot it in person. 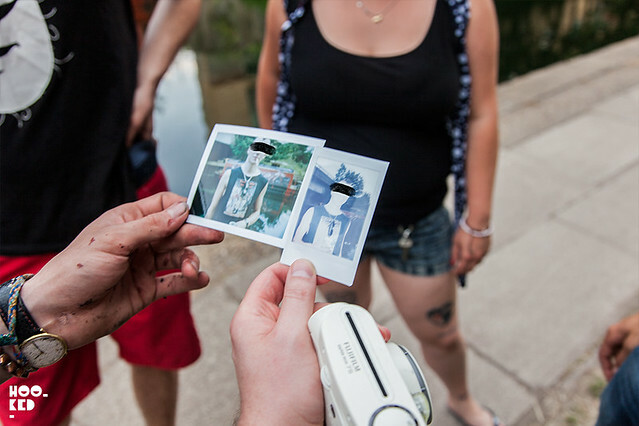 We did however run into Borondo on Wednesday evening as he was finishing up on this as yet untitled piece pictured, on another narrow boat. 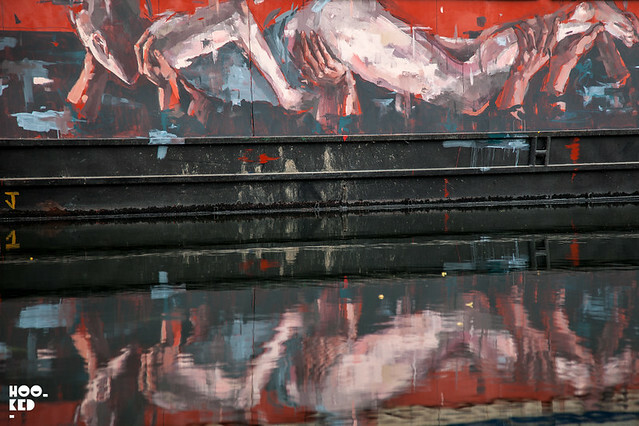 As with some of Borondo's previous works such as the Narcissus mural, (covered here) the reflected piece in the water is as important and this last London work is no exception. It's unclear if the female figure is being hoisted out of the water or lowered over the edge of the boat into the murky waters. 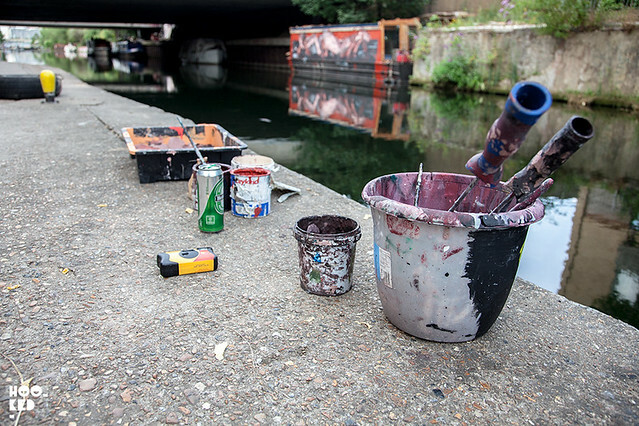 If you find yourself in Hackney Wick along Regents Canal be sure to keep an eye out for these beautiful slow moving canvases and if anyone spots 'Ophelia' let us know where she is!